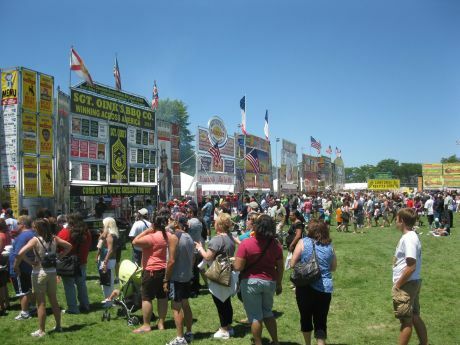 Every year, people from all over come out to the Naperville Ribfest to enjoy music, go on carnival rides, and obviously eat some ribs! It extends from Friday June 29th - July 3rd, with Junkyard Groove kicking off the performances tomorrow at 4:30. Don't forget to check the schedule for more performance times and ticket prices. In the meantime, we thought that we would put together some looks that would help keep you looking and feeling cool at this festival.